From waiting in endless lines to narrowly avoiding getting hit by suitcases – being in the airport usually isn’t all that fun. That is, until we discovered these unique airports that offer some pretty out-there activities and noteworthy attractions. These airports from around the world feature historic trademarks, quirky pastimes, and bizarre backstories that may surprise you. These airports are so interesting you may want to book a trip just to check them out. 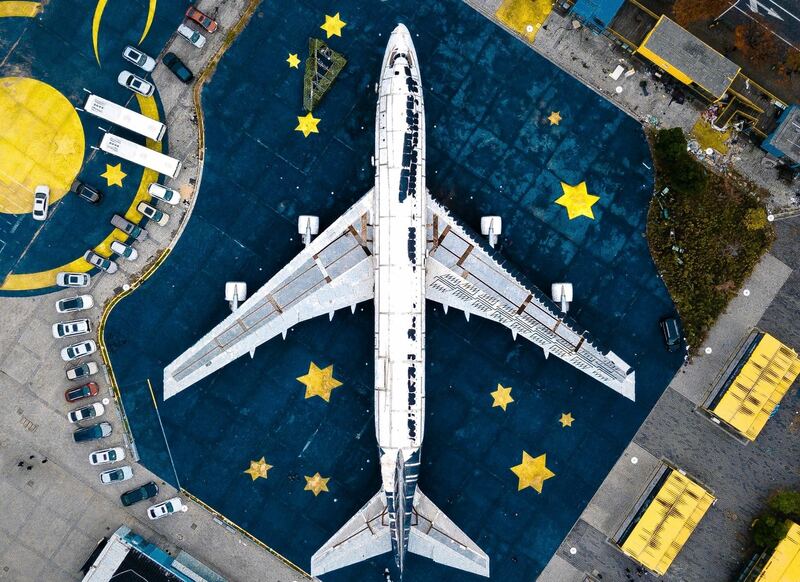 Get ready to be amazed by 10 of the world’s weirdest airports. While most of the action happens above ground, Sarajevo International Airport has a sight to see underneath it. 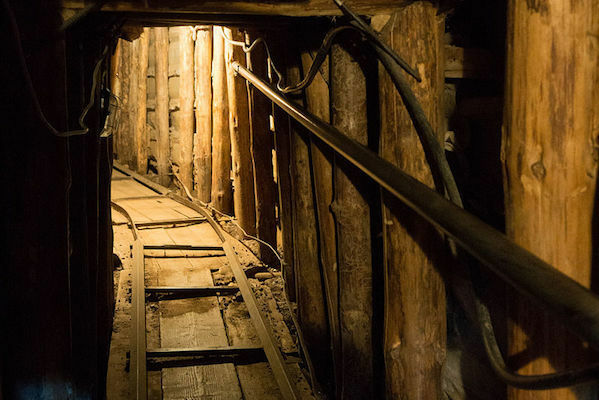 The Sarajevo Tunnel, also known as the Tunnel of Hope, was constructed in 1993 during the Bosnian War and runs directly under the airport. Laura DiBiase of Perfect Gym Software discovered this historic hidden gem while traveling through Eastern Europe. In 2013 SFO launched their support animal initiative named the “Wag Brigade”. These animals, several from the local Society for the Prevention of Cruelty to Animals, are there to calm travelers before their flights. At first, this four-legged group consisted of only animal-assisted therapy dogs. A few years after its launch, the program added a pig named Lilou. 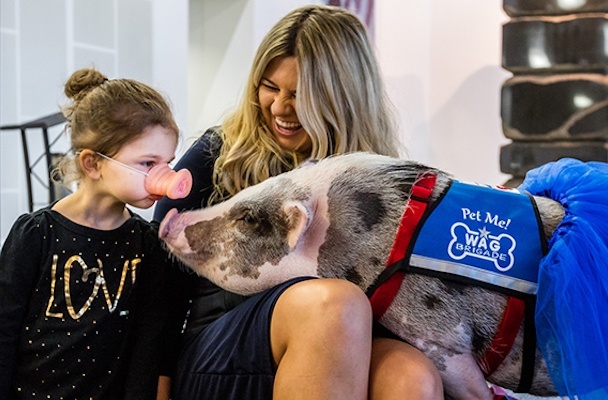 Since joining the Wag Brigade, the Julianna-breed pig has become a hit amongst adults and kids alike. The airport even hands out pig snouts to put over your nose for a matching look during photo ops. So as not to be confused with fellow travelers’ pets, these support animals sport vests that say ‘Pet Me’. Changi Airport frequently tops the list as one of travelers’ favorite airports around the world. Maybe it’s because there are so many airport activities it will leave you thinking, what can’t I do here? Home to 4 terminals, dozens of attractions, and more than a million trees and plants in their Instagrammable gardens there are so many features that makes the airport unique. One of which is even breaking records. 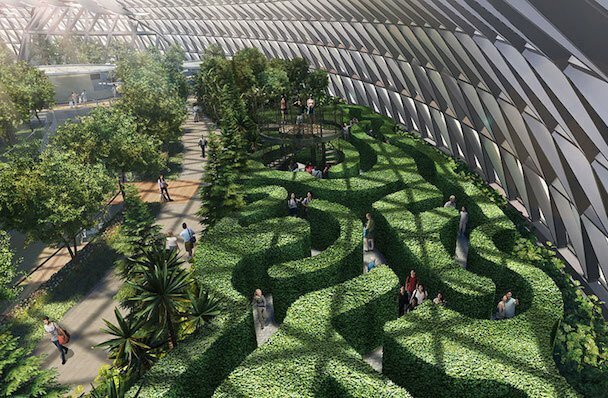 The largest hedge maze in all of Singapore will be built inside of Changi Airport. Wedge your way through this massive maze and at the end you will land at an elevated bird’s-eye view of the landscape. But don’t get lost in there for too long because you don’t want to miss your connecting flight! Have you ever looked out of the airplane window before taking off to see if you catch something interesting going on? Well, if you’re flying out of Hilton Head Airport you can spot two gravestones embedded in the actual runway. That’s right, the graves of Catherine and Richard Dotson, buried in 1877 and 1884 respectively, lie under Runway 10 at the airport. Federal law in the U.S. prohibits the relocation of a grave without the approval of next of kin. So when an airport expansion during World War II encroached on the former family owned farmland, the Dotson family requested that those graves go untouched at the wish of Catherine and Richard, who wanted to remain on the land they spent their lives farming. 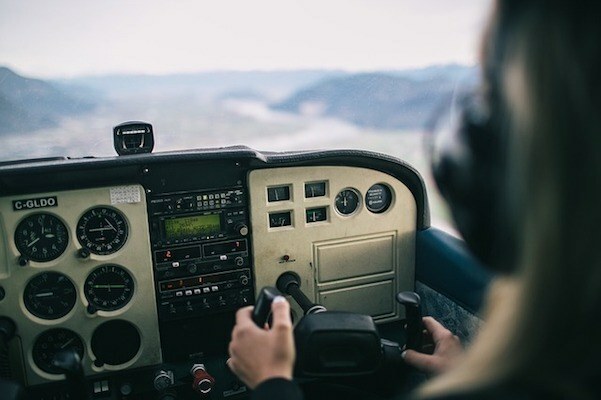 Did you know that you can learn how to pilot a plane while waiting for your flight? Well, maybe you won’t walk away with a certification, but you can take part in a flight training simulation by Sim Academy at Zurich Airport. You can book your training solo or with a group and you get to choose from 4 different types of aircraft to practice on. The airport also offers other attractions for flight enthusiasts such as their Airside Foto tours. This gets you exclusive access throughout the airport, Airscope Binoculars for a better view from their observation deck, and you can even control what gets seen during their live webcam broadcast. If you’d prefer to let someone else do the flying, register for a round-trip sightseeing tour by helicopter. If the music played at airports usually puts you to sleep, you’ll be energized by the four-person band strumming away at Philadelphia Airport. 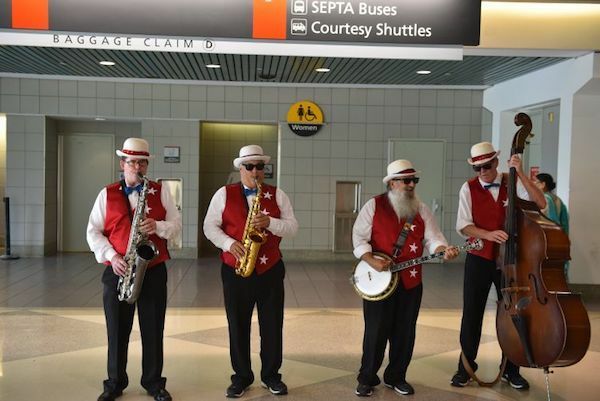 The Philly Phever band, featuring a tenor and alto sax, a banjo, and a stand-up bass, walks throughout the airport playing music to entertain travelers waiting for their flights. When people watching at the airport you usually keep your comments to yourself. Not at Denver Airport. They have decided to get in on the trolling of airport visitors with the help of a 243-year-old talking gargoyle. Travelers making their way through the airport are called out for their oversized hats or for lugging around excessive amounts of luggage. The gargoyle doesn’t only comment on fashion choices but it also responds to comments or questions and even calls out orders for food. How does the statue hold an interactive conversation on the spot? This weird airport mystery has yet to be solved. 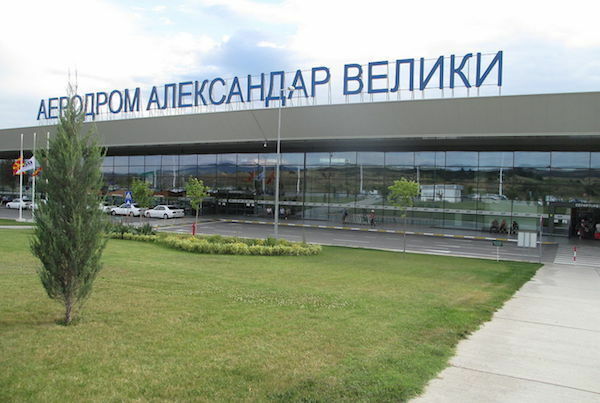 The name change from Alexander the Great Airport to Skopje International Airport was due to a name dispute settlement with Greece, as their regional airport in Kavala had the name first. In the end, Skopje agreed to drop the moniker in February 2018. Now all Greek airlines are free to fly there. When traveling to a new city, you may want to immerse yourself in the culture of where you’re visiting. At Incheon International you can do that without stepping foot outside the airport. While the airport does organize free sightseeing tours throughout the city, you can also experience the country’s traditions and historical artifacts inside, at the many Korea Culture Experience Centers, museums, art galleries, and observatories. Speed walking through the airport isn’t the only physical activity you can do at Munich International. Since 2012 there has been a yearly Surf & Style championship where surfers from all over the world come to compete. A 33-foot-wide indoor wave pool created by CityWave is installed into the airport’s MAC Forum and during the competition guests of the airport can join in and catch a wave free of charge. The airport has also introduced Skate & Style, a German skateboarding championship to their host of events. Visitors can participate in skateboarding sessions and rent equipment at no cost. 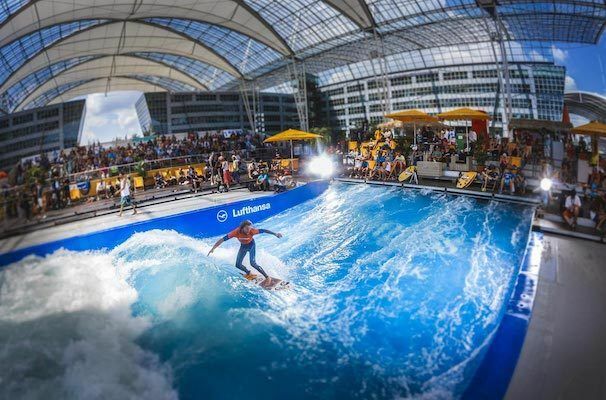 Whether you’d rather hang 10 or do a 360 flip, Munich Airport is an unexpectedly perfect place to try out extreme sports. You’re not limited to sitting in uncomfortable seats while staring at your phone, many airports offer fun activities that you would never expect. 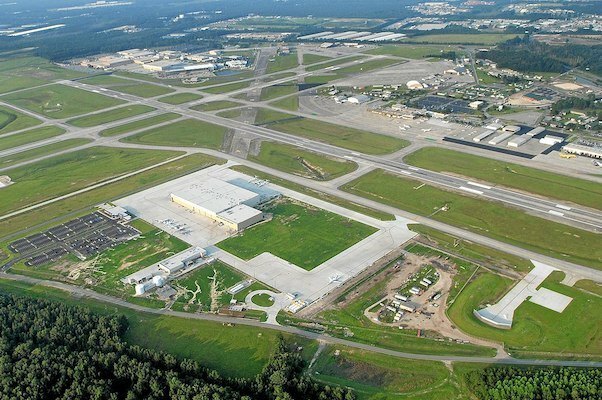 What unique airports do you love to visit? Tell us in the comments section.